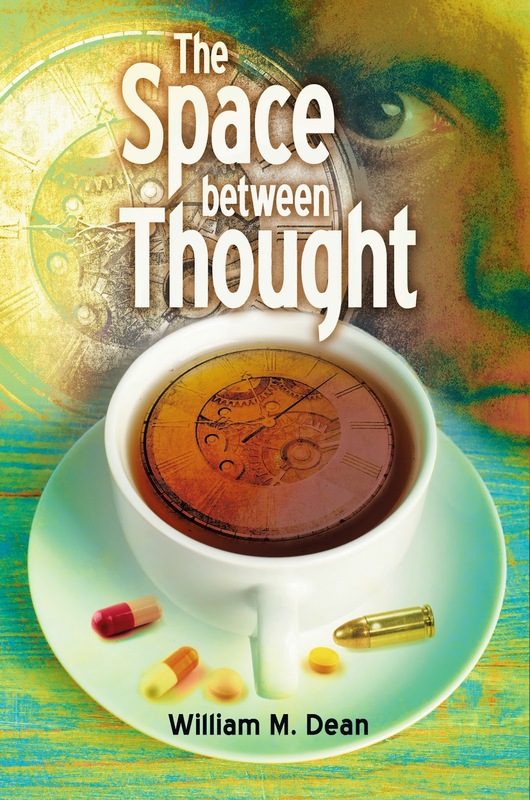 The Space Between Thought is my first-ever published work. It is, ostensibly, a story about love and time travel. At the same time, it documents a painful journey through loss and guilt toward understanding and acceptance. You might be interested to know that it is an allegorical tale of my own experience, recovering from a breakup. (Then again, you might not.) If I could time travel, I might still wish to return to repair my past and recover my lost love, however, time and perspective alters everything and I don’t really think that I would be brave enough to risk ruining the memory of what was, not to mention what is. I do not think that The Space Between Thought is an exceptionally deep novel, but I like to think that hidden amid the adventure, there are a couple of insights to be gleaned. Cook Street Village really does exist and I believe is accurately portrayed in the story. Time Pieces does not exist, but there is a shop in the Village that bears an uncommon resemblance. 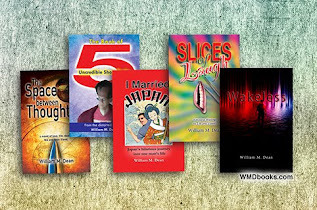 As the writer, I am always curious how people receive my stories. Obviously, if you loved it, I’m very happy to hear that. If you hated it, I’d also like to know, but would appreciate if you could help me understand your issues with the story. In particular, I wonder what people think of the Detective Holloway character, and Kat. As well, I wonder if there were any sections/phrases/sentences that might have confused or misled you, or seemed less genuine than the rest. Obviously, if there are logical flaws, I’d want to know. Did you find a typo? Well then, I just flat out don’t believe you. Do you have any idea how many times I went through that thing for spelling/grammar? Do you? Ok, ok—sigh!—I do believe you. Amazingly, I’ve read the story from beginning to end about 20 times and every single time, I found typos. I hate that. But I’m grateful for every one you point out. One day, if I have the money, I will update the text for subsequent printings. If you have any questions or comments about the book, don’t hesitate to email me. I don’t want to spoil the story for those who have not read it, but privately, I will try to answer every inquiry. If I think it’s appropriate, I will post the question and answers on this blog for everyone.